My house, right now, is "Crazy Town" and unfortunately, I'm the mayor. Not sure if it's a full moon or what, but my kids have pretty much lost their minds. Drama, tears, fights, sass, messes and any other emotions that fall into the category of young girls sums up what I am dealing with right now. Add two dogs, baskets of laundry (one basket where all the whites turned pink because of a red shirt that snuck it's way in), a sink full of dishes, backyard renovation and empty refrigerator to the mix and you have yourself a mom on the brink of going postal. Breathe, Shanna, breathe. This is just a moment; a small snippet in time that shall pass. There are bigger fish to fry and issues going on in the world. I do not take these moments for granted (blessed to have them) and one day I will look back and laugh....in fact, Landry just told me I was a "cool" mom because my PJ's now have a psychedelic pink tint to them (thanks to that sneaky red shirt). Sweet! See, things are already looking up! At least she is folding the laundry...making progress. Days like yesterday call for fast action when getting ready. 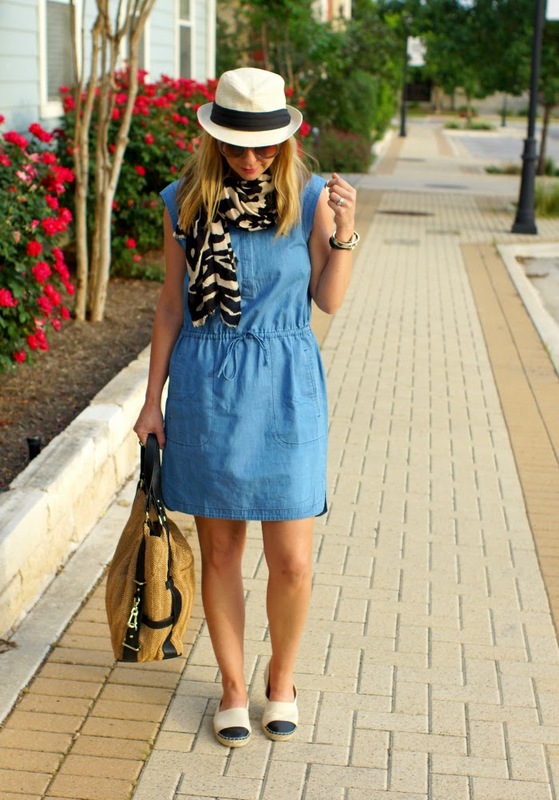 This chambray dress from J.Crew Factory and cap toe espadrilles are my tickets to success...so are hats. When you're on day three of not washing your hair, you grab for anything to cover up the mess. 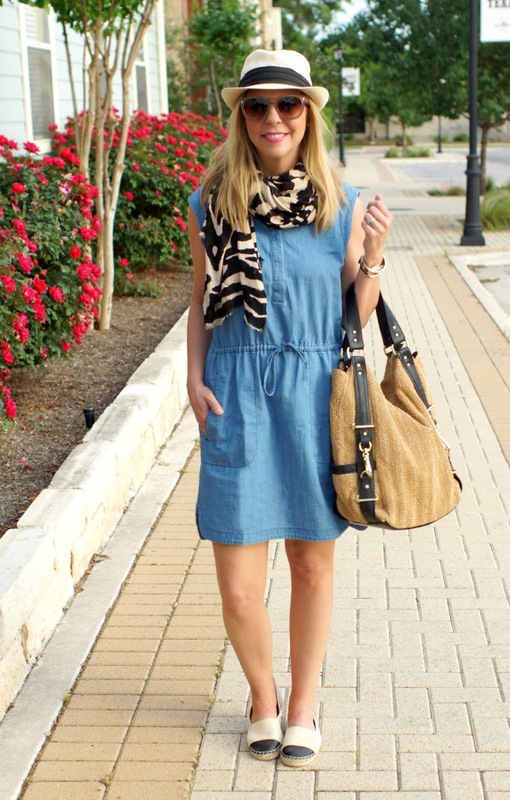 I might just wear this entire outfit again tomorrow. Because let's be honest, none of it has been put back in it's closet place. Go ahead and call it easy access...the only way these days.